Yorkville bus time: 8:30 a.m. This is a varsity and freshman/sophomore level meet. Please enter two athletes in each event and one relay. Please be sure the Frosh/Soph kids are on the Frosh/Soph level and Varsity kids are on the Varsity level. You may not run the same athlete at both the Frosh/Soph and Varsity level. 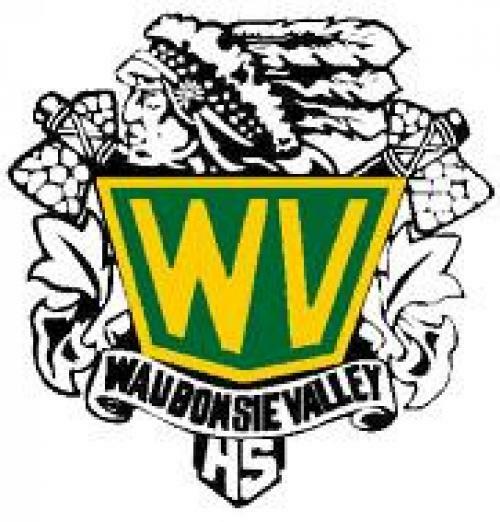 Please mail your $300 entry fee to Waubonsie Valley High School Athletic Dept. Entries must be completed on www.athletic.net prior to 5pm, Thursday, April 28, 2016. Rob Harvey and his Wheaton Warrenville crew will run the F.A.T. system this year. Team camps with tents may set up east of the track or in the visitor’s stands. Please keep the home stands near the finish line available for spectators. The infield should be clear of all athletes except those warming up and checking in. Wakoh Wear will have t-shirts available for sale at the meet. Hip numbers and check in will take place on the infield near the North end zone (hill side). Field event athletes will check in at their event. Entrance to the track area will be limited to athletes warming up and about to compete, otherwise, athletes should remain outside the track. Parents will not be allowed inside the track. Head Coaches’ meeting at 9:30 by the concession stand. Each school will need to provide one worker for a field event area (please list preference) and one exchange zone judge. Please email your preferences to kevin_rafferty@ipsd.org by Wednesday April 27th.